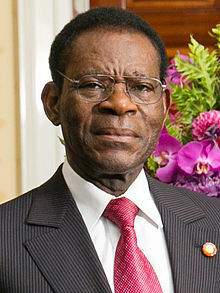 Equatorial Guinea's Presidential Election was held on 24 April 2016. The vote was brought forward by seven months from the originally published date of November; my apologies to Global Voters for this unexpected development, which has deprived them of the opportunity to vote on this occasion. As was widely expected, the incumbent President Teodoro Obiang Nguema Mbasogo, Africa's longest-serving leader, retained the office he has held for 37 years, reportedly with 93.7 percent of the vote on a 92.9% turnout. The validity of the result has been contested. One observer of the country, João Paulo Batalha of TIAC, a Portuguese NGO, commented in an interview with Deutsche Welle that "Equatorial Guinea has a long history of manipulating elections," and described the elections as a political "show, which only serves the fiction that Equatorial Guinea is a democracy. That's the last thing the country is." The Government of Equatorial Guinea rejects all such claims.